Pullovers are never undesirable. Take Shrugs and jackets for instance, which is fast becoming an essential outerwear this fall, winter, and beyond. 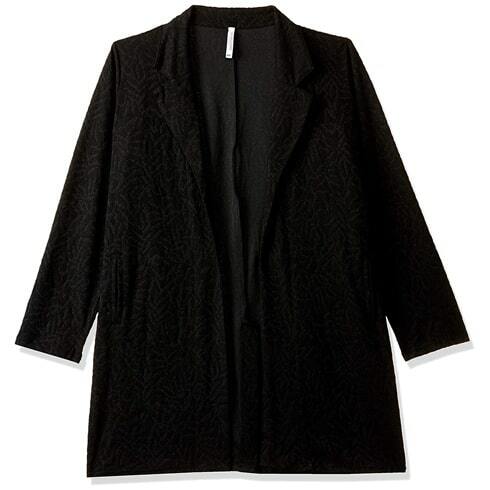 Perfect for gloomy December and January months, where most of us want to put on the warmest, chicest attires. They have been trendy through all-season-long. The jackets and Shrugs as shown below on the slide is the most preferred layering pieces there is. Take a look below! There is a method of wearing the Shrug look chic-like the Vero Moda styled wrap around that can reveal your curves. 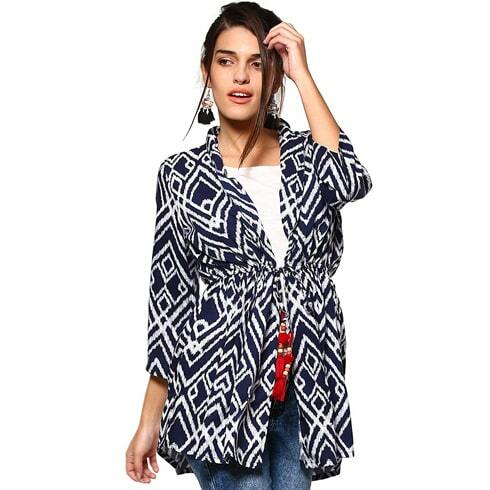 Forget a spaghetti top, come fall, wear this trendy cardigan over a simple tops and denims for a relaxed take. Want to add a refined edge to a casual look? Instead of switching to a Faux fur jacket for juxtaposition, select this blue Shrug instead. Allow it to naturally fall off your shoulders for a casually calm look. 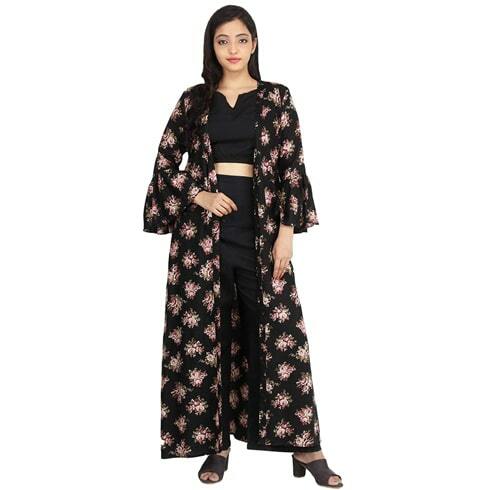 The closest you can try wearing a dressy gown-Global Desi’s floor length knit shrug looks amazing when teamed with denims or leggings. 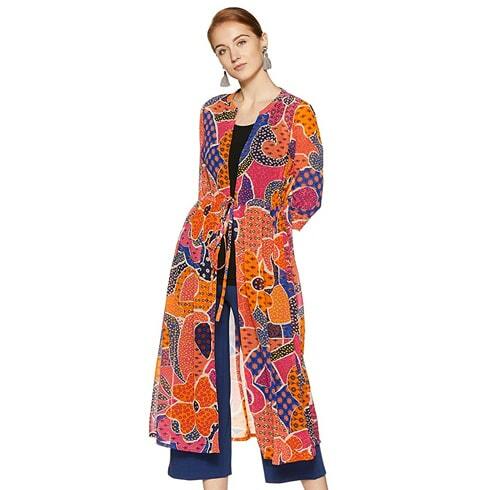 The Shrug has a touch of ethnic motifs yet looks modern. 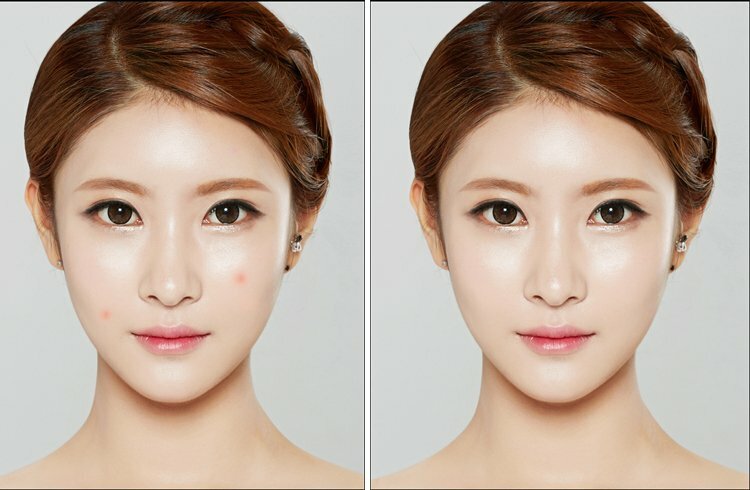 This is a perfect as a daytime look. Consider styling this Trench Coat with well-fitted bottoms and kitten heels. 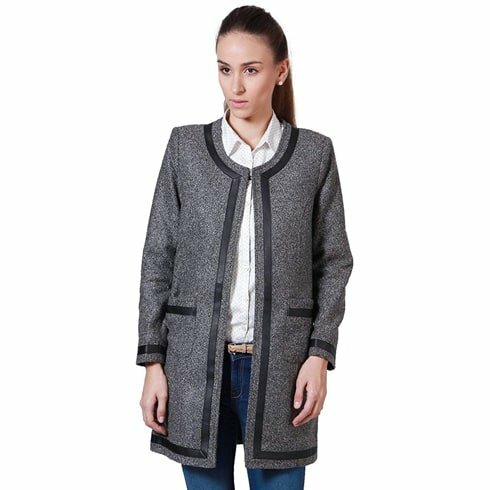 Featuring a woven feel, the coat looks very stylish. 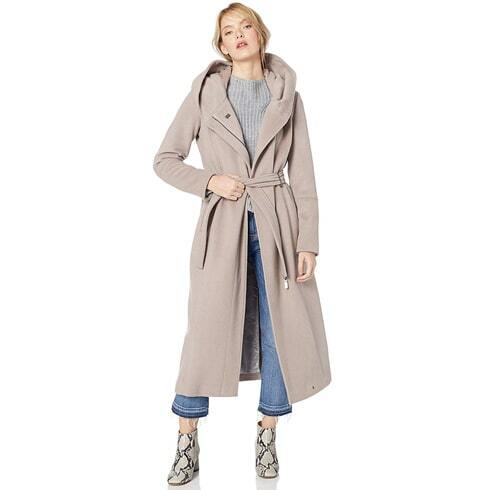 Tailored with the finest of fabric, this trench coat can easily become your go-to-wear. It is quite possible to make a beige jacket work by night. This pullover can work with a slim-fitted trousers or denims. For a more pulled-together look, pair it with polo-necked tops-the hottest trend of the season! 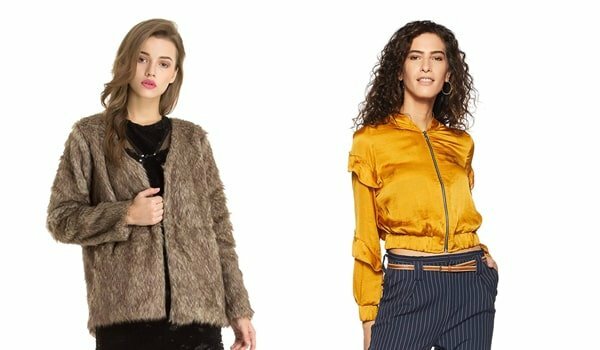 We’re total fans of these jacket and shrug collections from Amazon. You can be sure it’s trend worthy. 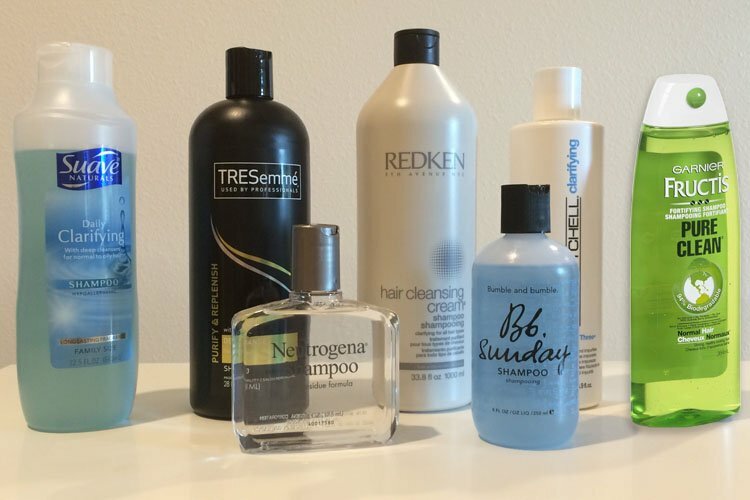 We hope you love the products above, too. Write in to us with your feedback. 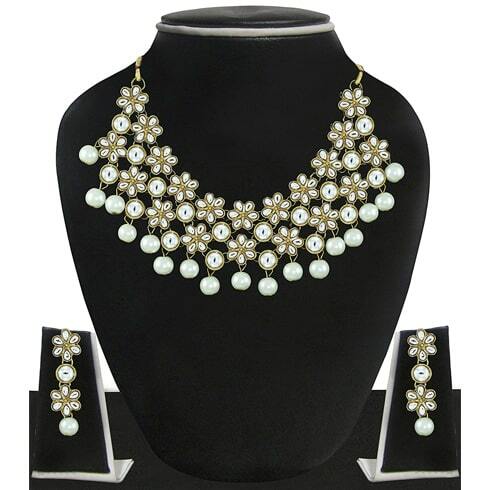 Selecting super exquisite, chic jewellery sets in affordable price range used to be an issue. But now, thanks to a number of brands filling the gap between a set of Pearls and high-end Choker, we are spoilt for choice. 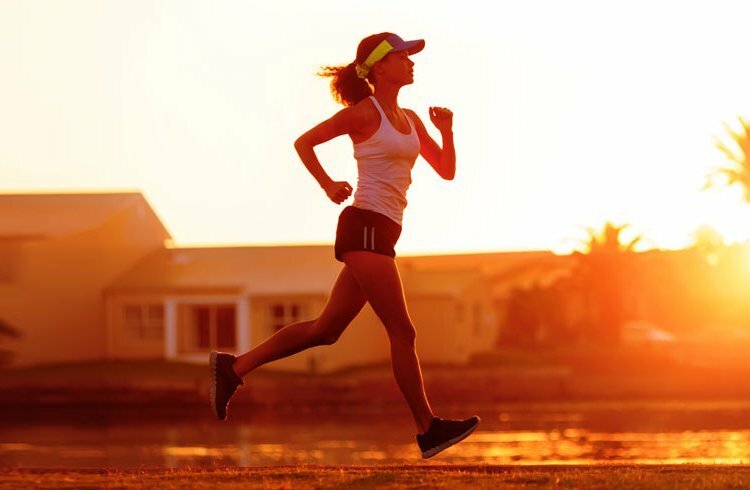 Whether you’re finding something for a dear one or purely indulging yourself, you can’t go wrong with these brands. Here are the six jewellery sets that we have picked for you. Take a look! 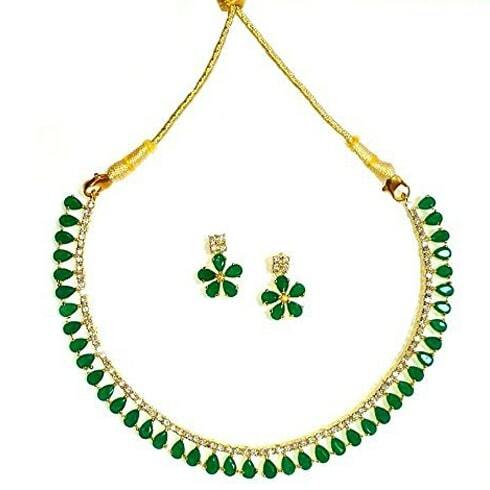 The green metal necklace with matching earrings is perfect to wear during different casual events. Each piece is designed with precious green metal stones. Available to buy in Amazon at a great price. 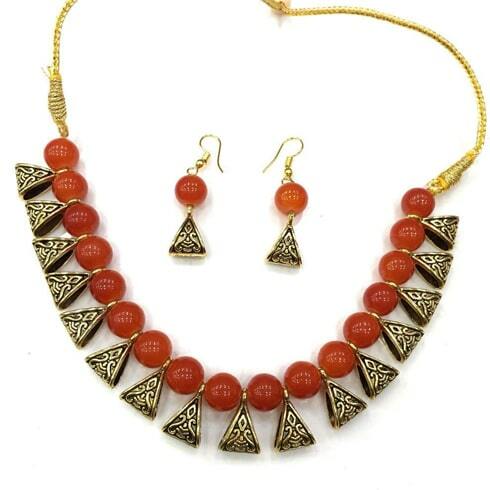 The jewellery brand from ITrends focuses on fashionable, trendy jewellery in budget. Available exclusively on Amazon, the brand has come up with delicate jewellery which can be worn and layered as desired. Made with adjustable straps and pearl stones, the necklace set is perfect for layering. 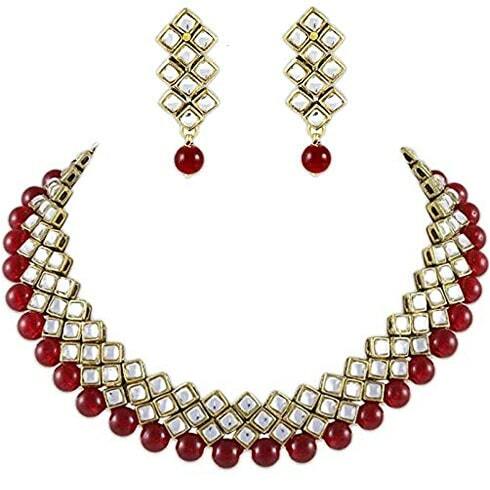 The Karatcart colorful Choker with high quality Kundan material will suit any Indian ensemble. 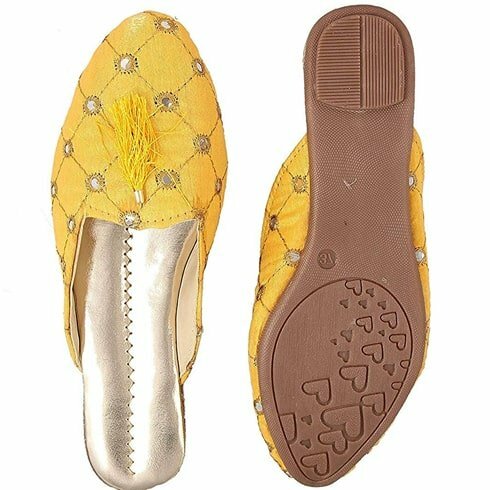 They are exquisite, wearable, incredibly fashion forward, and very skin-friendly. The prices do not hurt either. Shop online here. 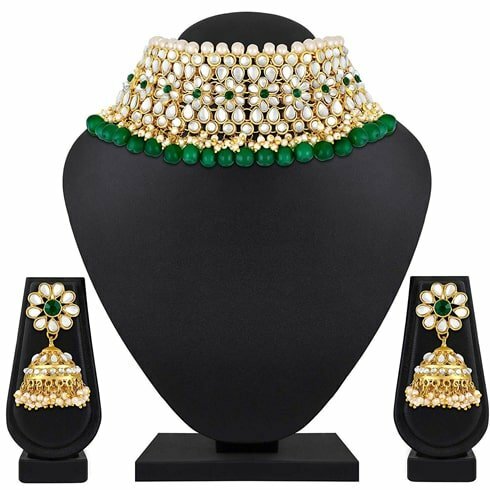 The Spargz bridal floral Kundan Collar Necklace Set is contemporary designs inspired by modern art. Perfect for a girl who loves a glam-look. Clean the necklace set using a dry cloth and store well in a box. 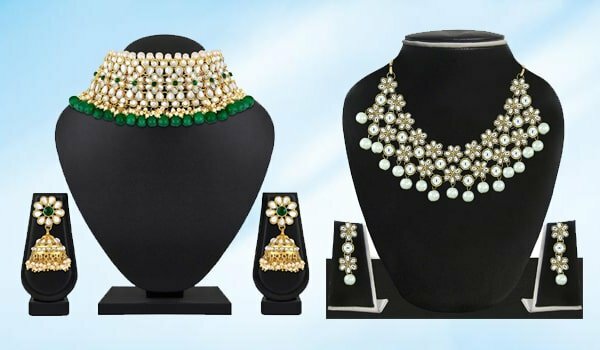 Zaveri brand creates exquisite jewellery which are equally wearable. Their delicate signature pieces combine fine Pearls and semi-precious gemstones to give a classy feel. Their pieces can be mostly worn alone or even layered, allowing you to create your own style. 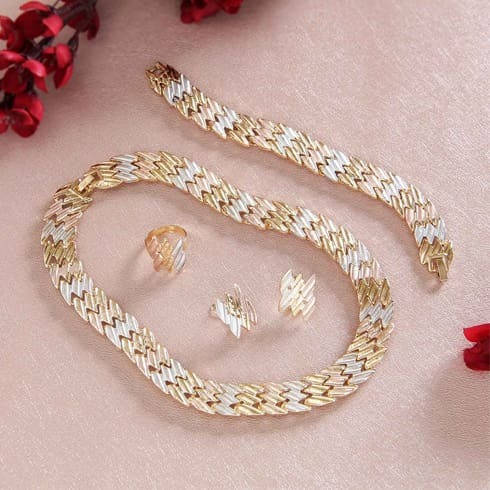 There is a widespread love for gold copper jewellery set. The classy taken on bracelets, rings, and necklace is a sellout hit. And it remains one of the bestsellers today. The brand is known for its instant wearable and modern pieces to stack. Hope these six jewellery sets covers everything you were looking for. Write in to us if you liked anyone of the pieces. Are you obsessed with the Jhumka fashion pack as us? The perfect earrings to give any traditional ensemble a statement, they’re the ideal wear when you need to prep up for impromptu occasions. We have picked few selections from Amazon. Read ahead for more. No matter which Jhumka design or size you select, you are most likely to find something you love below. Well, we almost guarantee! Take a look. 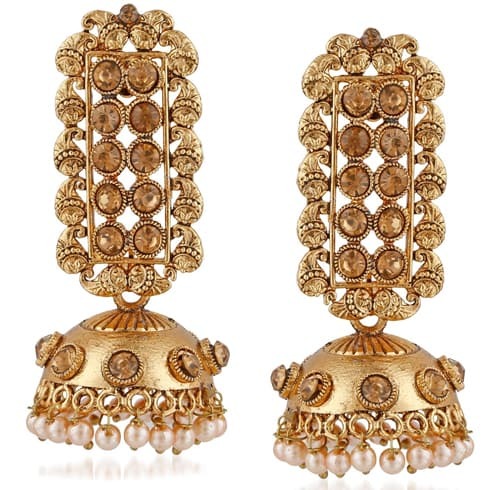 Pack of two white and gold Jhumkas. Crafted with pearl stones in brass alloy. 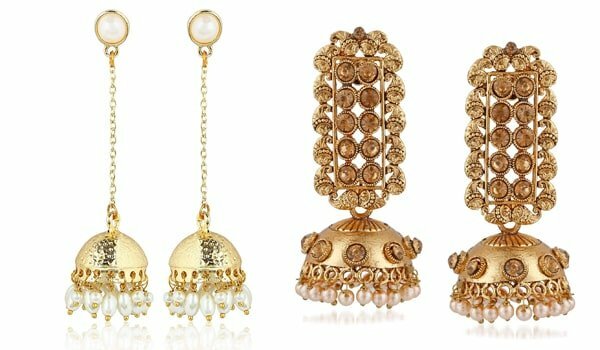 The Jhumkas can be worn with any traditional ensemble and showcase an aesthetic design. These earrings can be worn easily while ensuring a comfortable fit. Synonymous with designing uniquely designed earrings with exotic stones, Moonstruck brand is a stunner. 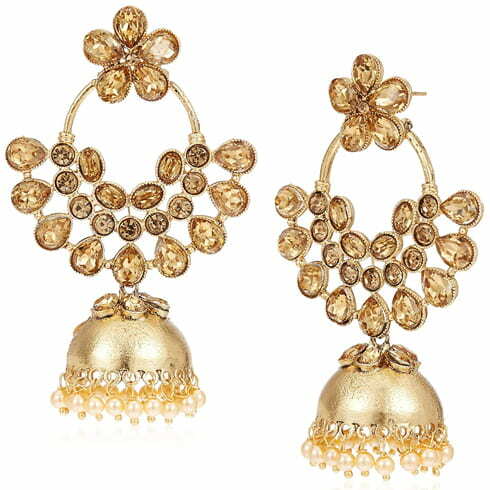 The stunning Jhumkas are perfect to wear with traditional wear. Suitable for evening and work parties. Zaveri is the legendary brand behind the accessory industry. Perfect for bringing out a feminine appeal to your look, the pearl jhumki earrings bring out a statement design complemented with a 22 karat yellow gold. The Zaveri Pearls brings out a luxurious finish. Store away the earring in a zip pouch. The signature designs has made us fall in love with the brand. All thanks to its elegant line of accessories. Shaped to a handicraft Ganesh and flower Meenakari style with Pearls and a hint of other unique design. 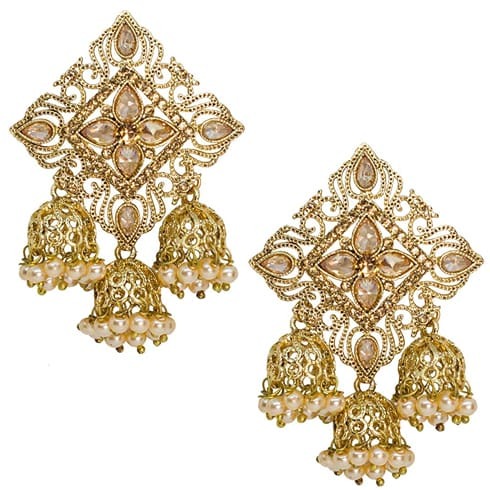 Party the New Year away with these Pearl Jhumki Earrings which have been carefully handcrafted. 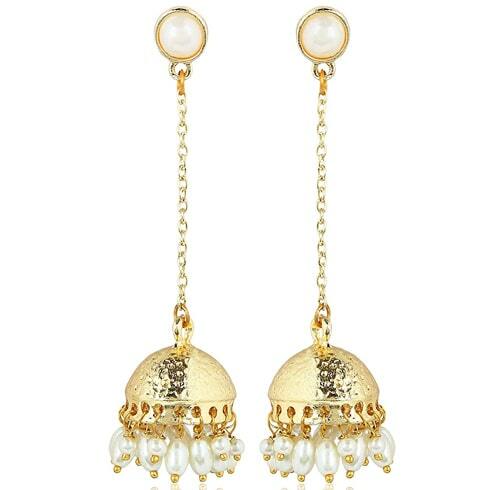 Gold plated statement earrings featuring pearl semi-stones give the set a refined feel. 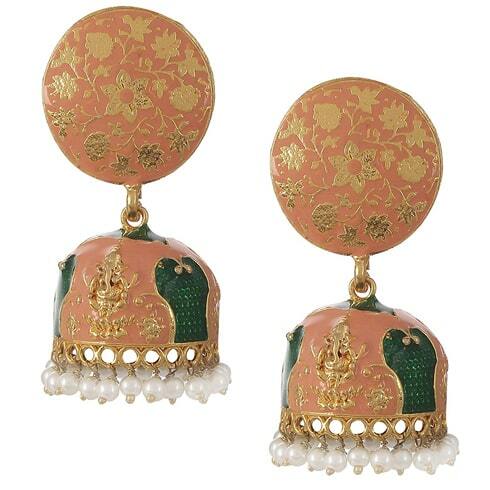 If you would like to see more of these Jhumka Earrings, including others, visit Amazon.com for more. The key of wearing jackets uniquely is to look up for nontraditional prints or deconstruct them in unexpected ways. Drape it around your shoulders or look for heavy but stylish silhouette, these chic selections are exactly how you make the most of this classic staple. 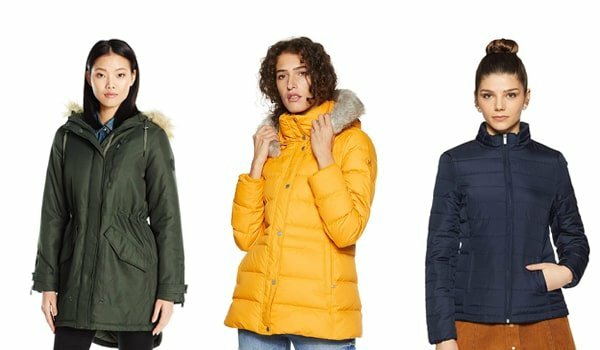 Below, find five jackets that not only keep you warm but also make you look stylish. 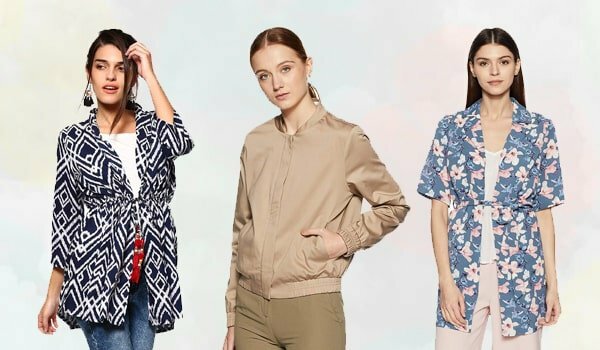 This season there are plenty of styles to select from, so we hunted them down on Amazon to bring you the top five jacket styles. Go ahead and select the one that befits your personality the most. 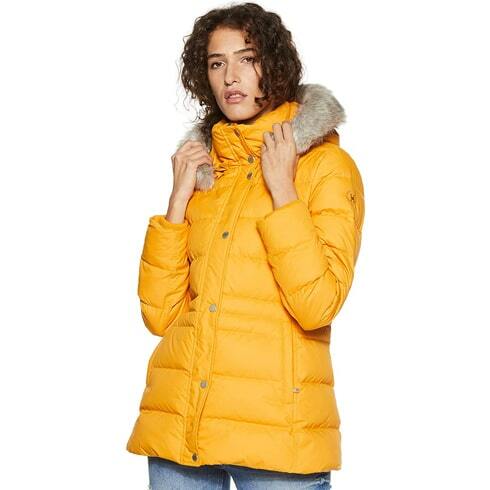 The Faux Fur jacket in yellow is a versatile option. But, if the color is too bright for your liking, then try other available colors like black, grey, and military green. The jacket gives your look a spark of uniqueness. This Tommy Hilfiger piece can be paired with jeans, leggings, and skirts. Layering feels right when you throw on a jacket as this one. Pair your high waisted boots to create a lean look. The shiny finish keeps the look sporty but refined. If you’re looking for something bit more relaxed and comfortable, opt for a Faux Fur duster length jacket. Tie the look by matching it over a polo neck tops and wide trousers. Embrace the carefree style movement by playing your Quilted Jacket with a graphic top, denims, and white sneakers. Toughen up the jacket look by casually draping it over your shoulders, too. 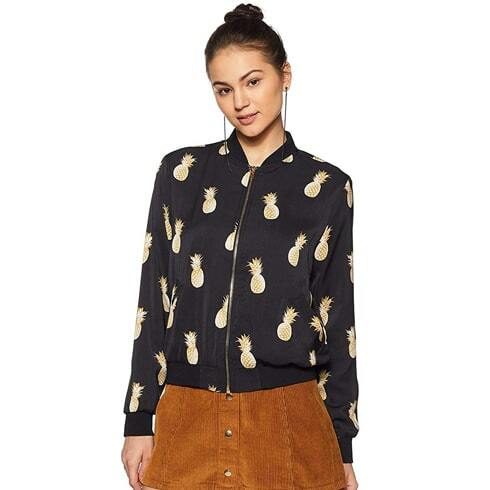 When going for a monochromatic look, opt for a jacket like this one from Forever 21. Look up for cut-out details, pieces, and accessories. Add a printer scarf to tie your look together. We hope these collections gave you sartorial inspiration. 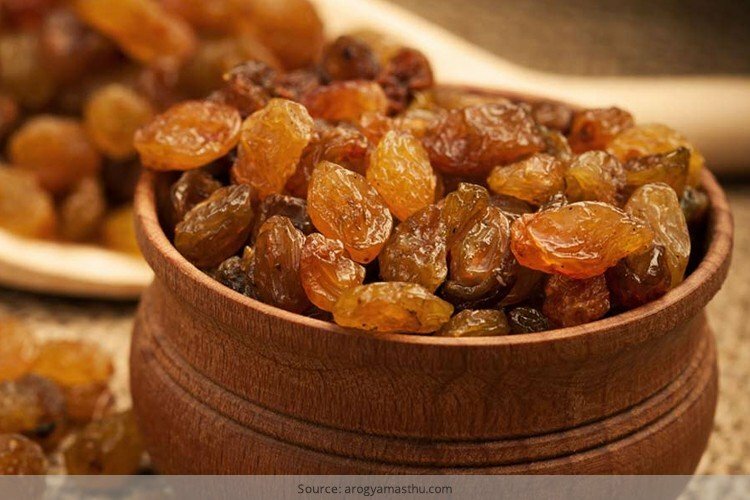 Do give us opinion about this timeless classic in the comment section below. Jacket season is big and has already painted a new light. And we have no reasons to complain for obvious reasons. From layering the classic top to inventive ways of styling it for needed edge, discover the finest methods to style the jackets. 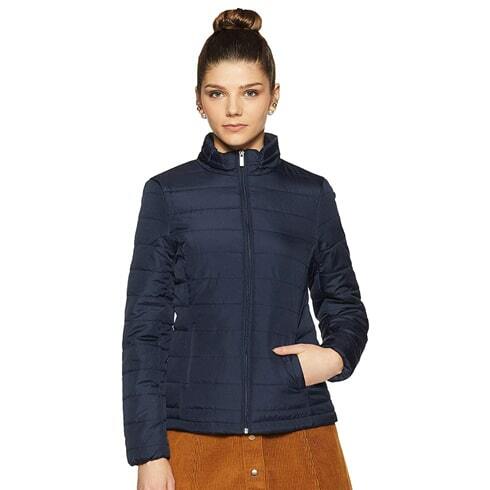 Keep scrolling down to select the best of jackets and to shop the collection from Amazon.in. Take a look! There is a style of allowing the grey jacket look hot-wear yours over your shoulders with collared shirt and denims as displayed here by the model. Want to add a classy edge to your LBD? Instead of wearing the usual black jacket, opt for a red one as this one for juxtaposition. Casually drape it over your shoulder in a fashionable way. 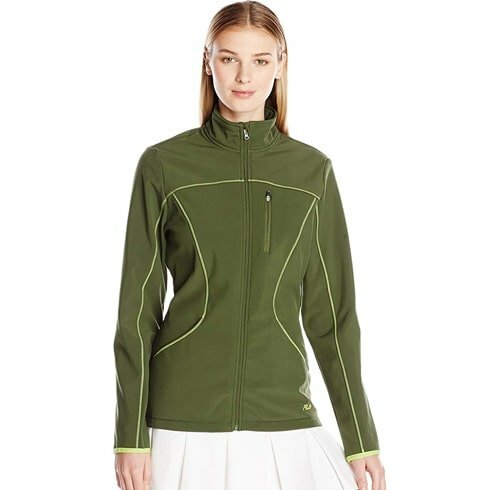 The closest you can get to selecting a dressy pullover is the jacket . It looks best when worn with denims, all thanks to its slim cut and sunny hue. If you opt for this jacket, then leave the zipper closed for best effect. Your initial response when styling a jacket maybe is to wear it underneath a turtleneck sweater, but we recommend wearing it over a simple shirt, too. To add complexity to your styling, we recommend wearing over denims or cigarette pants. The fur jacket has adorable shape even with its length. For a streamlined look, tuck your inner top into your bottoms. This is a perfect look for fall to keep you looking warm and chic. These jackets from Amazon collections are admirable. We hope you are inspired enough to get similar looks. 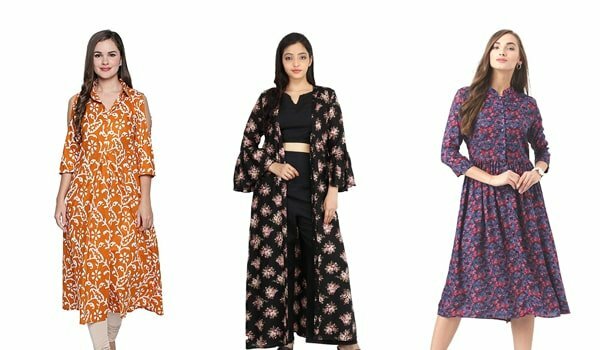 Indo-Western Kurtis You Need To Know Now! As far as designs go, nothing is regal as Indo-Western Kurtis. 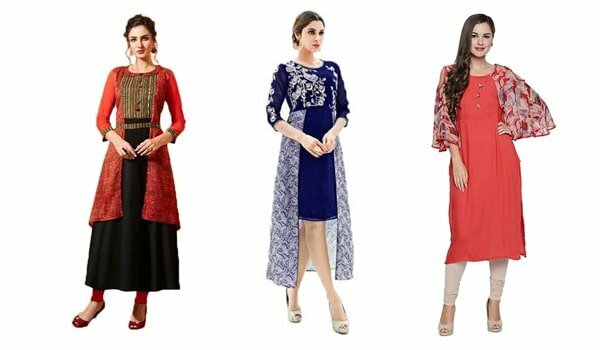 Whether you’re looking for an office wear look or an elegant evening wear vibe, Indo-Western Kurtis hits the mark each time. This is why we’re really excited about showcasing these designs which is big this season. We had to include this Reyon check Kurtis because the comfy fabric is insanely cool. Wear it at work or layer it over with a thin shrug with ¾ sleeves for a casual day out. When work outfit look this classy, we’re totally taken on board. The blue Kurti from Sakshi Collection is a total winner. The layering possibilities with the kurti are endless. This number is so royal, you can’t help but end up buying it. We suggest upping your fashion cue and matching it with nothing else but with classic pumps. Leave it to us to wear the choicest method of wearing Striped Kurtis. For an evening look, slip on the top wear and accessorize with metallic accented clutch and sandals. The central takeaway here is the Striped designs that makes the otherwise lightweight fabric totally all-season appropriate. Absolutely one of the most wearable Kurtis with Cape Sleeves! 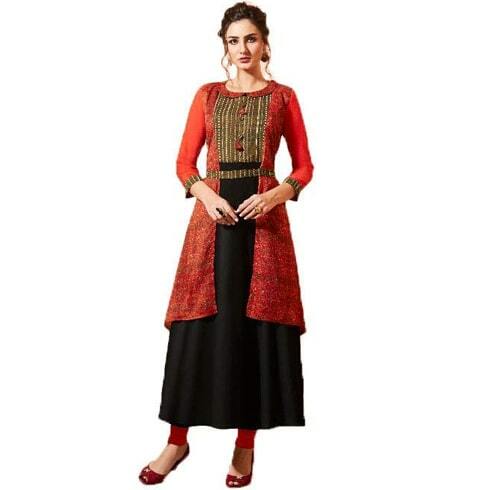 This is a unique style of dressing up the kurti. Step out in sleek heels for an instant lift. The red Kurti schools us in wearing embroidery in the fall without looking off-season. 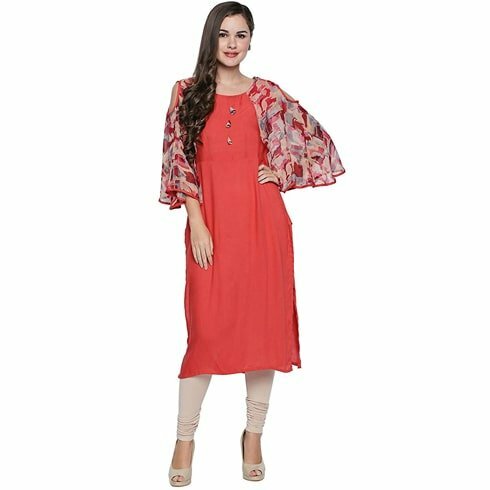 The swirly kurti interspersed with designer full length sleeves makes it exquisite. The flouncy sleeves and hemline also disallows the kurti from looking too heavy. Basically, Indo-Western Kurtis can assume several personalities. Hope our collective collections allow you to choose the best version of Indo-Western Kurtis this fall and beyond. If you are addicted to fashion- as in you follow every street style icon on social media, and get giddy seeing the glossy style magazines-we bet that you will have a meltdown in your heart for these Indo-Western styling. 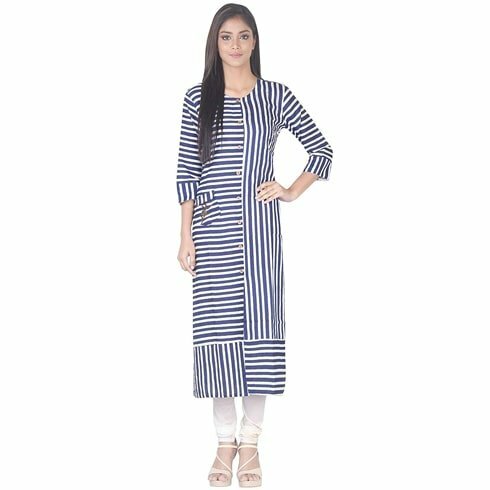 Don’t be scared to wear loose over these long Kurtis. Pick a straight lined bottoms at an ankle-grazing length. The overall balanced look will retain its polish. It’s features like collared neck, cold shoulder sleeves, and buttons on placket makes it perfect for both casual and party wear. 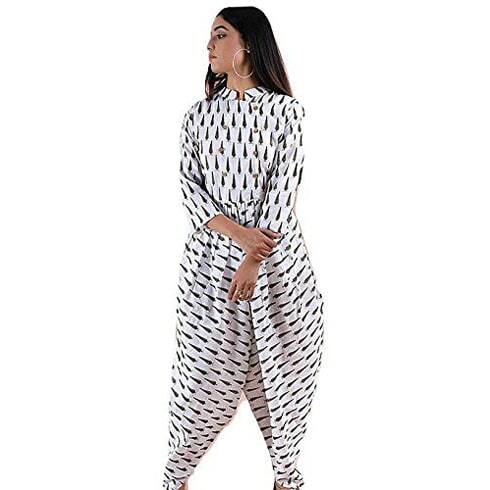 Eat your heart out with this amazing black and white Jumpsuit. Up the flirtatious designs with a mix of sleek heels. Clear glasses finishes the breezy idea. Go bold in this floral print Tassel Kurta in a standout color. Sparkling accessories like shoes or bags keep the look luxe. 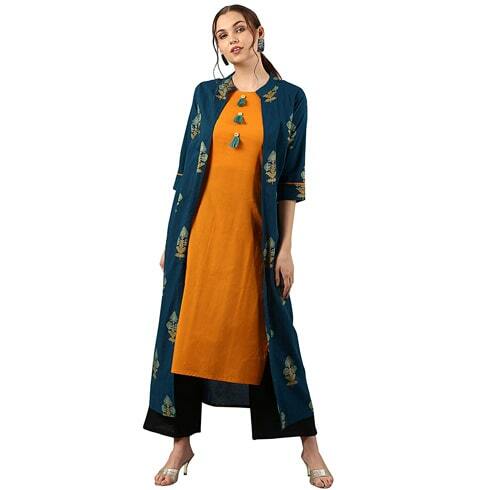 The cotton Kurta features ¾ sleeves, Chinese collar neck, with calf length. Imagine how good this cotton shrug and Pant Set would look with some stylish comfort. Pair this set with some black pumps for a girl’s night out. It will be the ultimate cool and chic look. Say hello to the perfect dress for fall. 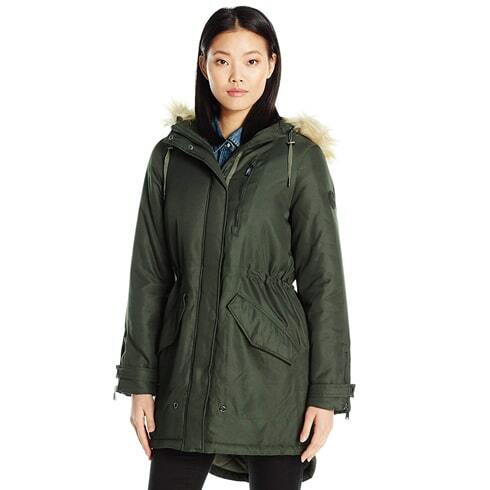 Swap out the dress for fall jacket when the weather permits. 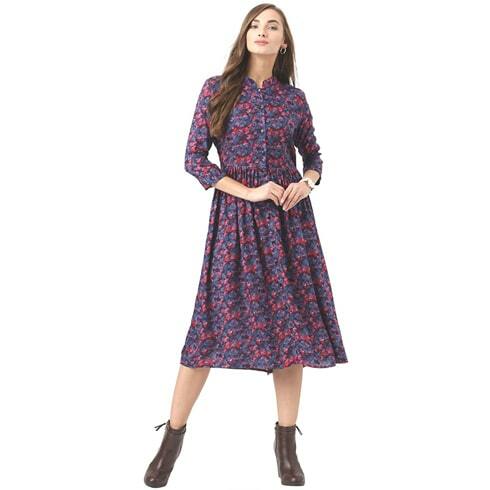 The dress features a floral pattern, ¾ sleeves, banded collar, with rayon material. Add these Indo-Western clothes to your wardrobe ASAP. And write into us with your feedback. We love getting back to our readers. Monotone looks are gold when you wear it the first time. But when you want to wear it the second time, we have to admit, it does look a little boring. The most handy element that is sure to rev up your drape and lift your look almost instantly is to wear the six yards with a beautiful multi-color blouse. Be it a wedding soiree or one of your ethnic days, monotone sarees have a charm of their own. Courtesy Bollywood every Indian woman has at least once wanted to channelize her desi gorgeousness wearing a pretty single color flowy saree. With a head-turning multi-color blouse in place, there is no way you will go wrong with your Indian look. From chiffons in pretty hues to handloom and silk neutrals a multi-color blouse is all you need to take your saree style file notches higher. You can take a look at our top picks from amazon.in, before you head out to scout stores. With the festive season ahead we are betting high on multi-color kutch work blouses. With the embroidery done up in vibrant hues of pinks, green, and yellows, this multi color blouse will be a festive hit when worn with flowy sarees in fushia, parrot green and scarlet red. The short sleeve and u-neck make it a comfortable wear amidst the soaring temperatures. Brocade blouses in florals are passe. We are liking this changeover to a diamond print done up in subtle shades of reds, blue, and maroons. The sweetheart neckline plays the showstopping element. When worn with maroon it is sure to get you all the attention. Color, neck and pattern, this multi-color blouse is a star by all means. Boasting of an all-over leaf print in a contemporary combination of yellow, grey and beige along with the fringe edging, this boat cut neck blouse is sure to get you drooling stares. Take this to your contemporary evening with a fitting smart grey or black saree. 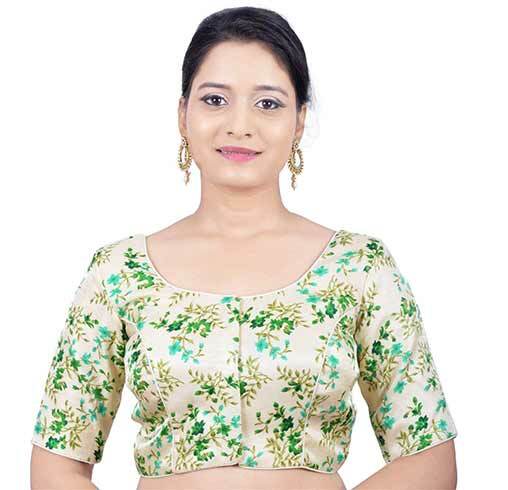 All over embroidered blouses are the top picks for elaborate wedding parties and big get -togethers. 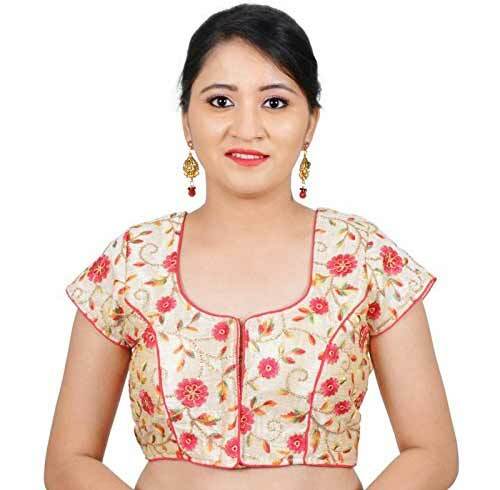 This neutral base blouse beautified with all over jaal embroidery in rich tones of gold, red and blue, makes it a worthy trousseau add-on and an apt buy of you are to attend an Indian wedding. Border sarees in red or blue is sure to have you looking ravishing. 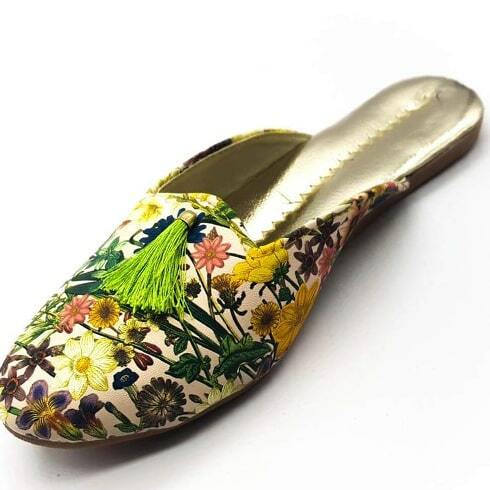 Printed multi-color florals have been there for quite some time now. Going low on the colors, we liked this two-toned floral print done up with gold accents as a perfect pick to take you in the next generation of floral blouses. To match you may stick to a saree in shades of sea green for some added jazz, a contrasting saree in shades of gold and yellow will be a good deviation. We hope these multi-color blouses from amazon.in are all you need to add oomph to your pretty sarees. Denims are classics and our love for this fabric is undying. While our favorite pair of jeans is like second skin, dresses done up in cool blues are trending hot. Just like your denims these dresses too will occupy a soft corner in your heart. From the trending ruffles to bell sleeves to the teeny weeny dungarees, everything about denim dresses spells chic and cool. Transitioning smoothly from your summer wardrobe to your autumn -winter closet, these denim dresses could well be your go-to pieces in the season ahead. 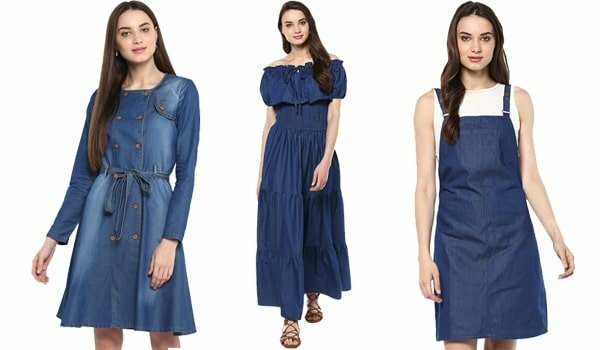 To have you stock up the seasons best, we scooped out these trendy and hassle free denim dresses from Amazon.in. 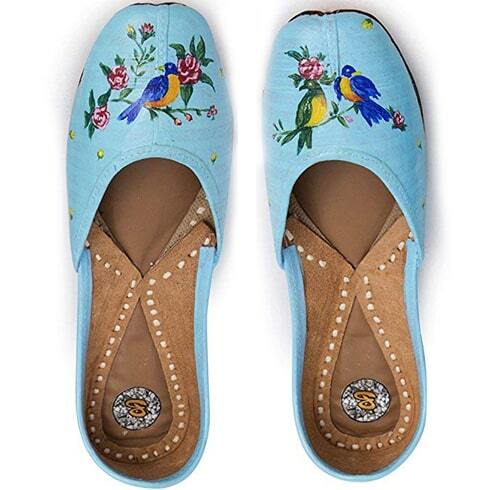 So ladies scroll through these pieces of blues and we bet you will want to buy one right away. To beat that slight nip in temperatures replace your sleeveless denim dresses with this full sleeve shoulder placket denim dress in a lively indigo. 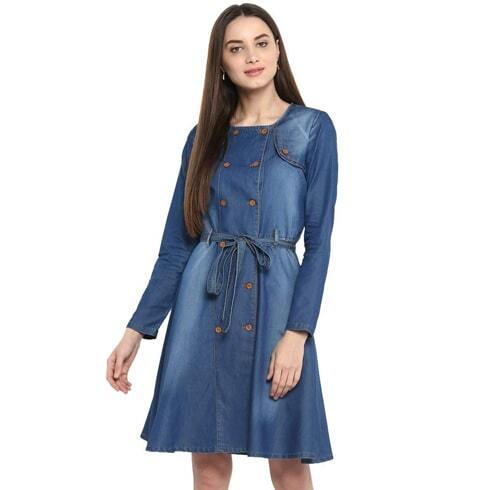 This double breast denim dress takes its inspiration from a fitted trench. 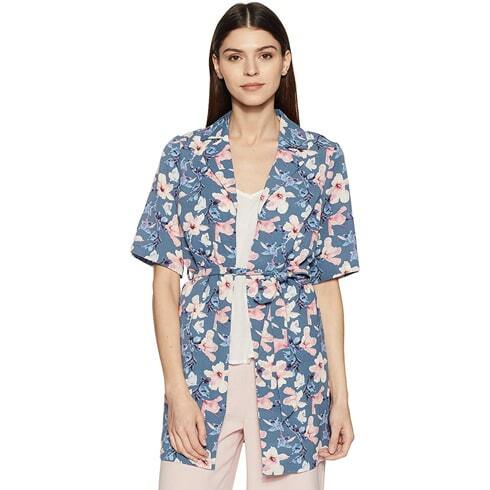 We are loving this buttoned look that can easily rev up your casual afternoon look. There’s something innately pretty and innocent about peasant dresses. Taking you back to the field, peasant dresses instantly render that beautiful small town lass look. 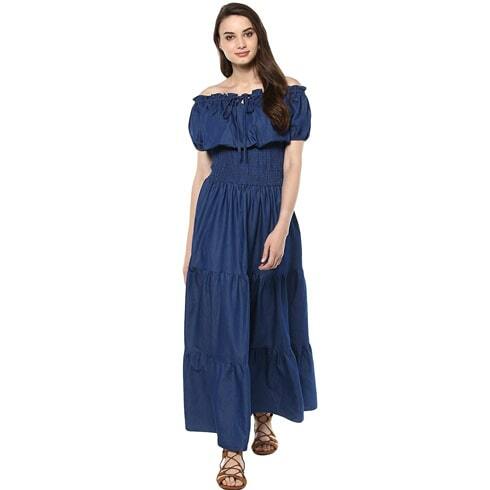 Taking your regular peasant dress notches higher is this one done up in the denims. The off-shoulder piece tucks onto your waistline defining your curves to perfection. 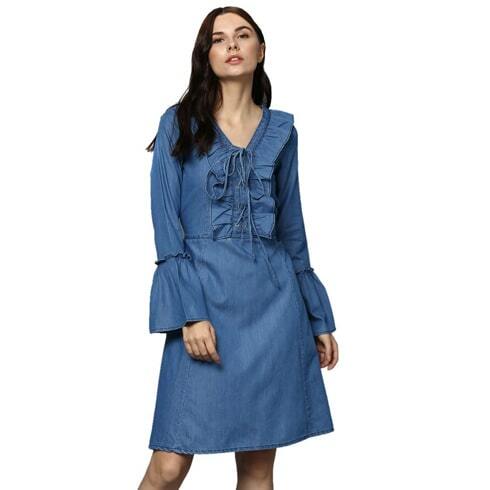 With bell sleeves assuming much superiority in the fashion forums across the world, this denim dress boasting of a ruffled neckline and elaborate bell sleeves catches eye almost instantly.The drawstrings amidst the ruffles amps the cool quotient of the knee length dress. Pair it up with your ankle length winter boots and a pretty sling to get your autumn look just right. Denim dungarees are a must have for any fashionista. 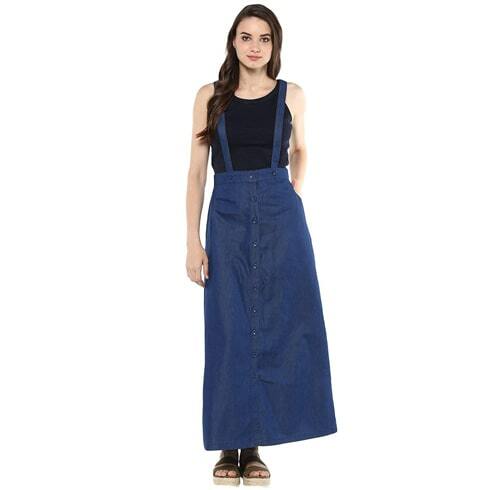 Instead of pant style opt for this pretty denim dungarees dress. Pair it with a short sleeve turtleneck and a backpack. For some chic add on complete this look with a pair of cool socks and chic lace ups. Pinafore dresses are love. 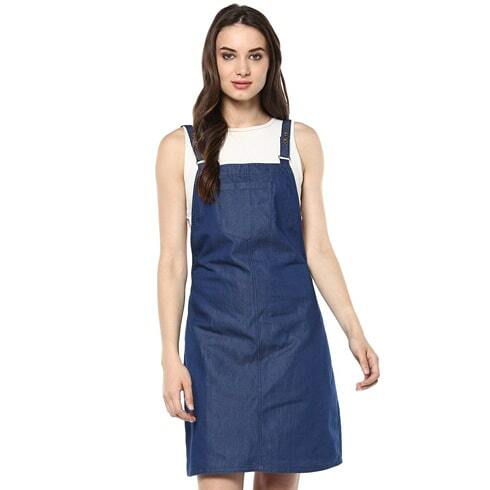 This denim pinafore is our pick for the season ahead. Wear it with a warm insert sporting cool slogans or trending prints. Complete this look with a pair of wedges and some trendy accessories. Hope we took your denim love notches higher with these chic denim dress series. 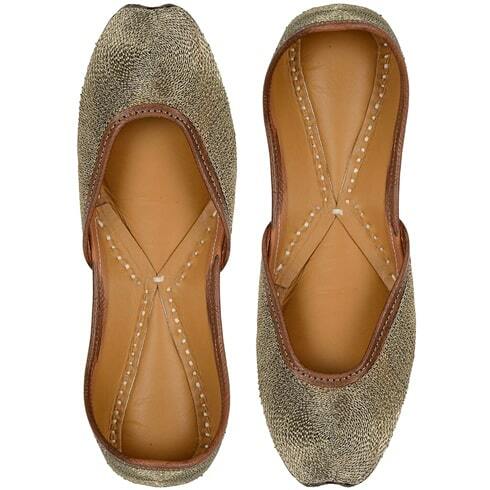 One of India’s most classic footwear is Juttis. 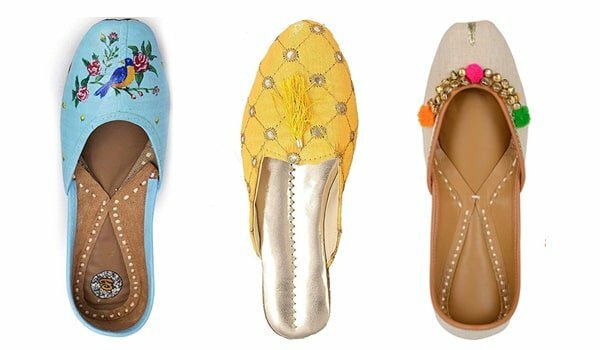 From their comfort zone of being paired traditionally with salwars and patialas, juttis today have translated themselves into their more chic versions complementing casual and fusion looks.